1) Cook steaks in pan until desired level. Remove steaks from pan. 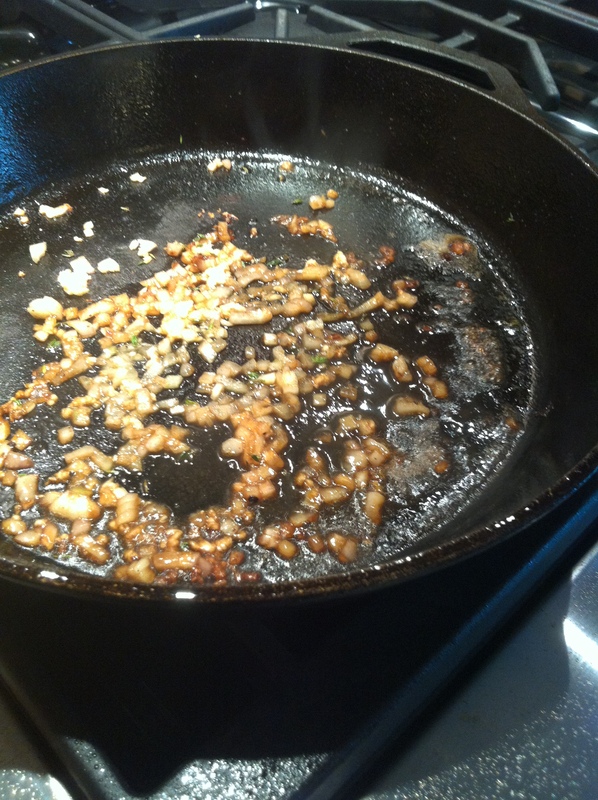 2) Add oil to pan and saute onions for 2-3 minutes. 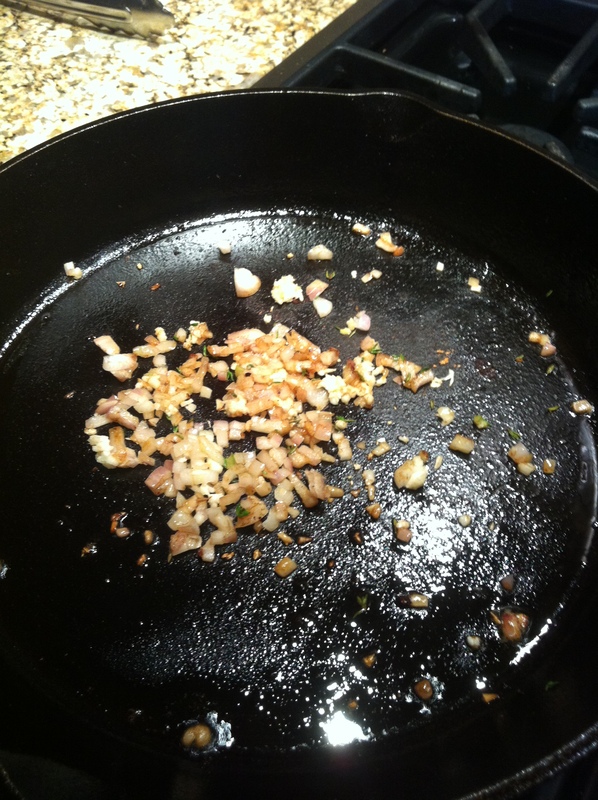 Add garlic and thyme, saute for 30 seconds. 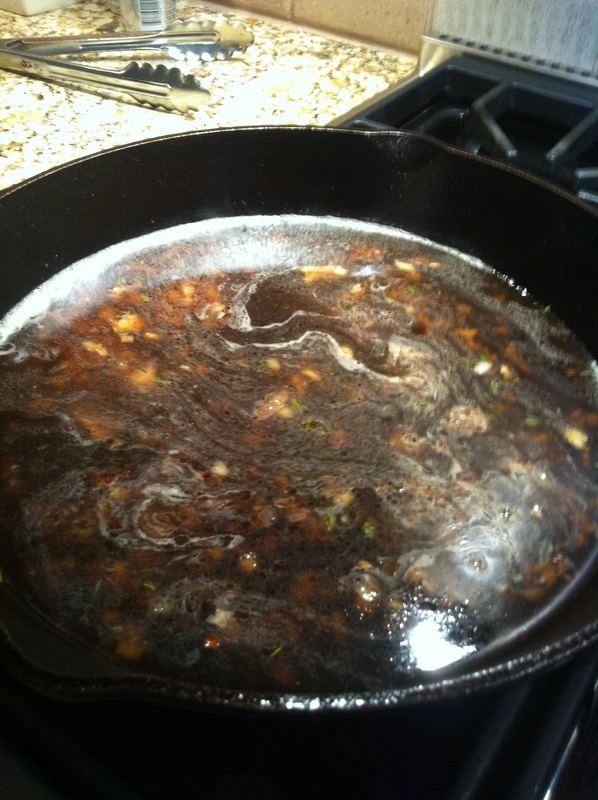 4) Once flame goes out return pan to heat and add beef stock, reduce by half. 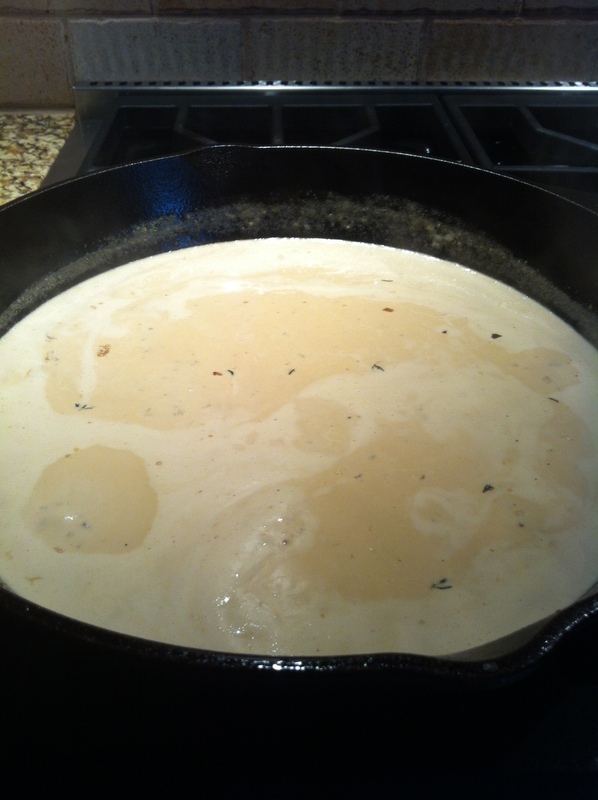 5) Add cream and mustard and reduce by half again. 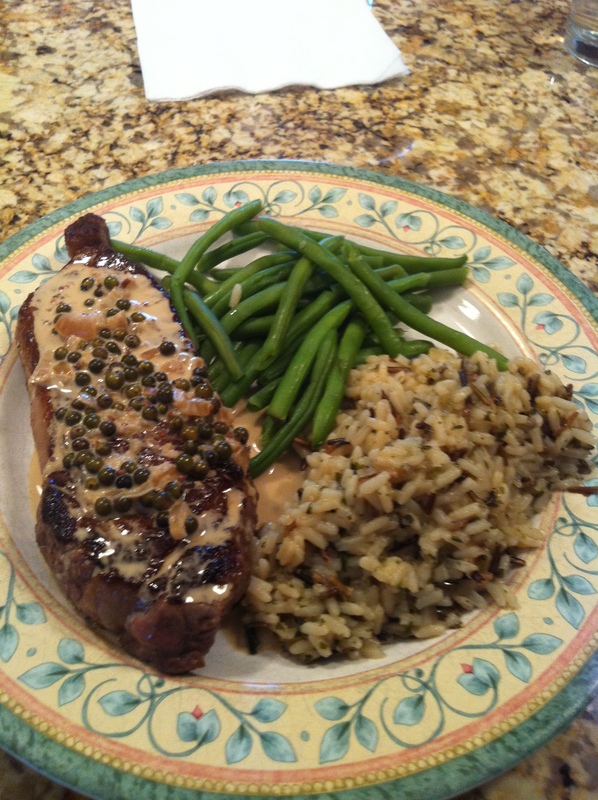 6) Turn off heat and add peppercorns, then serve sauce over steaks.